But what is a wine’s time, especially a tannic red one? When is it ready? 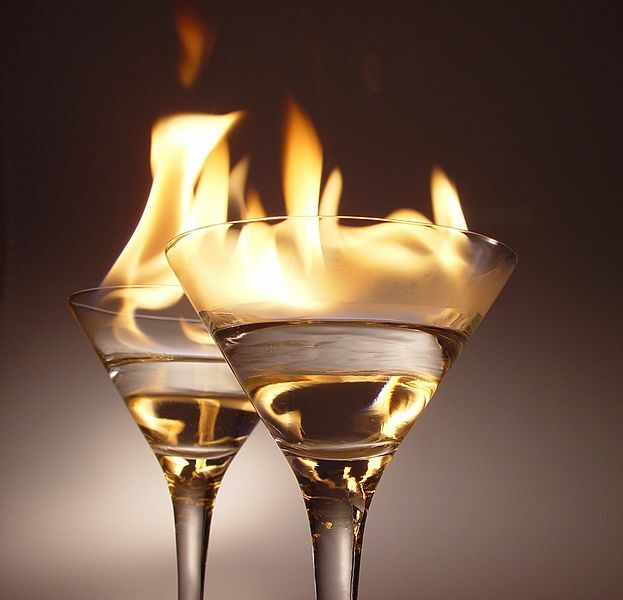 Not surprisingly, there is no agreed-upon answer, even among wine people, as to when is that perfect moment when fruit, acid, alcohol, tannins and barrel flavors magically come together – or how long this peak period will last. At a recent 2009 vintage blind tasting – held by Château Lassègue in New York – of wines from St-Émilion’s south côte, one writer found the tannins in a particular wine “still very harsh,” while another one thought them “pleasant and well-integrated.” I have one editor who will write off a wine as being “dried out” while I’m still enjoying it’s lean and leathery character. One thing is for certain: Red winemaking in the classic regions such as Bordeaux began to change as producers and wine merchants recognized that a new generation of consumers – baby boomers – were no longer wealthy buyers who were willing to let wines lie for years in their cellars until they were ready to drink. Most producers also understood it was too costly to hold stock for years in inventory while waiting until their wines were mature. And, not incidentally, winegrowers also learned how to better manage and integrate tannins. Taken altogether, the result is gentler, kinder wines that are made to drink early with no or minimal aging. 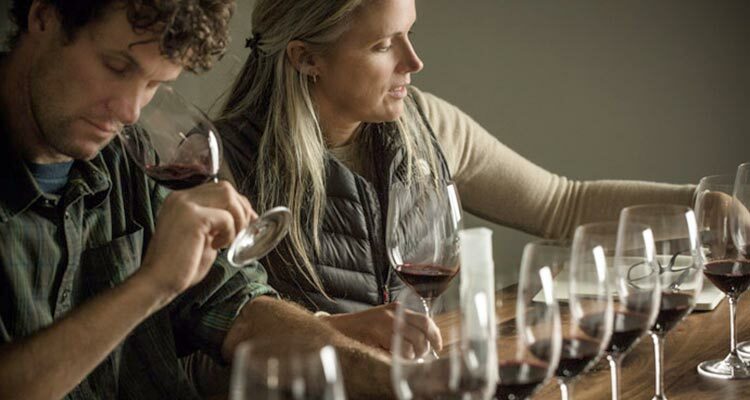 Still, some winemakers hearken to the echo of Welles’ words, none more so than a husband-and-wife winemaking team in Sonoma’s Alexander Valley. 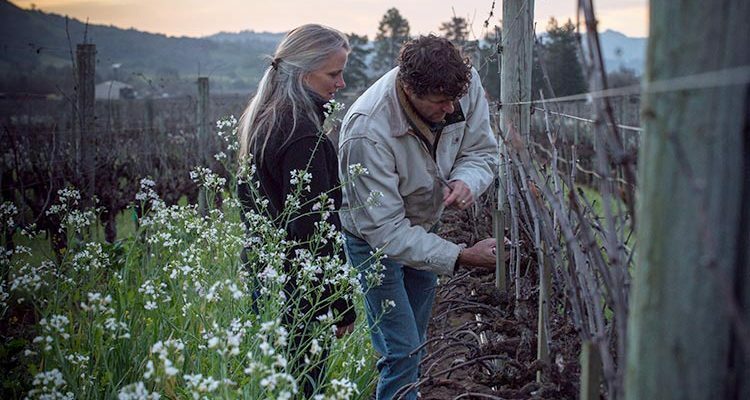 Karin Warnelius and Justin Miller grew up there in winemaking families, married and started their own winery – Garden Creek Vineyards – in 2001. From the beginning, they decided their estate red – Tesserae – would not be released until they thought it ready, which happened to be seven years later, in 2008. The wine spent a now incredible five years in the bottle before it went public. To a great extent, the Warnelius-Miller business model has made this waiting possible. 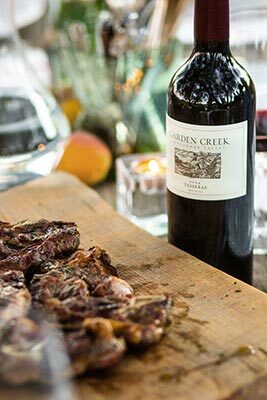 Most of their sales are direct-to-consumer, which means that wine merchants aren’t clamoring for a new vintage to be released, nor do they have to explain to consumers that the 2010 Garden Creek vintage is the current release. Additionally, since Garden Creek has been releasing its wines after seven years from Day One, there was no awkward change-over period. Of course, the Warnelius-Millers aren’t alone in arguing for later release dates, but they still represent a tiny minority of fine-wine producers who do so. In Bordeaux, the futures (en primeur) system dictates that the young wines be judged while in the barrel, both by buyers and ratings scorekeepers, and that the opening price is set well before the vintage is a year old. First-growth legend Château Latour famously dropped out of the futures system five years ago, arguing that they wanted to hold onto their wines longer and to set the price on release, as most wine regions do. Yet, in spite of their stature and influence, very few wineries followed their lead and dropped futures. In fact, the rumors during this year’s Primeurs – the barrel tastings of the young 2016s – was that Latour would soon rejoin the futures club, although I personally don’t see an incentive for them to do so. Pierre Seillan at Château Lassègue on the Right Bank is not part of the futures system either. He thought his 2005 was not mature enough to release in 2008 or 2009, when most of the other Bordeaux reds from that vintage were being put to market. So he waited. And waited, and finally released in 2010. It should be noted that, while not part of the futures system, Latour, Lassègue and a few like-minded Bordelais still show barrel samples of their young wines during Primeurs to give the media and buyers a glimpse of the wine they will be waiting for. While it’s encouraging to know that there still exist throwbacks who do things the way they were done in the old days, it is highly unlikely that things will trend their way, nor are they asking for that to happen. 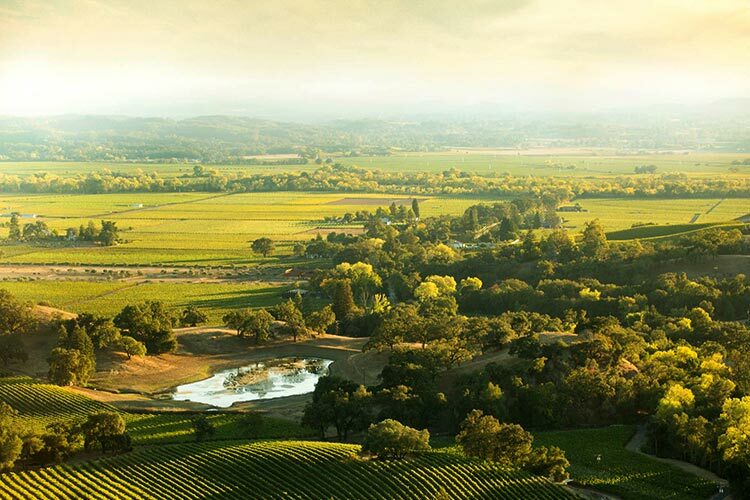 The waiting game is expensive for wineries, and customers aren’t asking for a return to a past most of them never knew. Instead, perhaps more than anything else, today’s consumer is quite happy with a well-balanced wine that’s ready to drink upon release.